The goal of our All-Round Program for Leading Graduate School (PLGS) is to cultivate a next generation of highly qualified doctoral students by seeking to revolutionize education and research within an integrated framework of arts and sciences and cooperating with industry and government. Five pillars will feature our program. 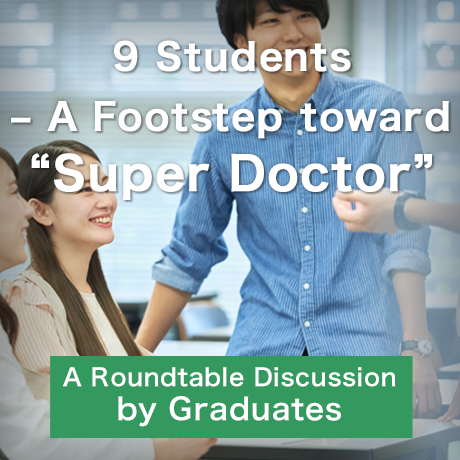 In our program, nearly twenty graduate students are admitted each year on a competitive basis from 13 graduate school programs of Keio University. To make this five-year program most, the first-year master graduate students are most desirable to be enrolled. As they are appointed as RAs and supported with a stipend, graduate students enrolled in the program must take courses and participate in various activities of the core curriculum of the leading program along with those in their own graduate program. RAs can mark this employment as one of professional employments in their career. The stipend ranges from 140,000 to 170,000 yens per month during the master through Ph.D. programs for up to five years, but RAs are evaluated and assessed each year for a renewal of their stipend. To develop a broad perspective of view and vision under their major expertise, all enrolled RAs are required to follow the core curriculum in the five-year program and obtain a master degree (the first major master degree) (M), then another master degree (the second major master degree) (M) and finally a Ph.D. (the first major doctoral degree) (D). The second major master degree should be in a different field from the first major master degree, two of them that will together foster RAs to broaden their academic knowledge. The dual-degree program has been newly institutionalized for the leading program in 2012. Therefore, RAs are able to obtain two master degrees within three to three and half years. For example, a RA with his/her first major master program in Graduate School of Science and Technology and enrolled in their second major master program in Graduate School of Economics or Graduate School of Business and Commerce would be able to receive an integrated education of arts and sciences. All experiences gained from two master degrees will be expected to play an important role in developing a broad perspective of view and vision and management abilities upon their return to their first major doctoral program. Every week, RAs participate in an extensive session with mentors from renowned industries and a local government. These mentors, mostly a manager or equivalent or higher position in their industries and/or a local government, provide RAs with real issues involved in industries and our society. With a mentor, a small number of RAs propose their issue(s), delve deeper into discussions for a necessary solution(s) and make a recommendation(s) for government and/or industry (group project exercise). Thus, group project exercise will be a key session for RAs to learn a view and vision of industries and governments, real issues in our society and communication skill with people from renowned industries and government. Our program will offer RAs to take two-step international experiences: internship and study abroad. During the mater programs, RAs participate in an internship abroad, particularly working as a real job at an industry or NPO for four weeks. During their doctoral program, for instance, RAs study abroad and deepen their major expertise for half year in an international research institution or a university as their collaborative research. The leading program supports their expenses for a training of a job interview, a VISA application, round-trip airfares and room and board. where genetic exchanges have taken place during evolution of animals, RAs, faculty members with a variety of values from 13 graduate schools, experts from a variety of industries and government and foreign scholars with a variety of experience and values all gather in the Hiyoshi Campus West Annex. In addition, these individuals will gather in summer and winter camps to present and discuss many issues together. What RAs are able to gain will be called effects of waterhole. Results will be presented, i.e., as a poster, in classrooms of the Hiyoshi Campus West Annex, summer and winter camps and symposia.